Camping isn’t for everyone: waking up in a damp tent, with wet canvas touching your hair, not enough room to swing a mouse, and an instant sauna as soon as the zip goes up, it’s understandable why people opt for a structure made from bricks to shelter them. However, hotels can get stuffy, B&Bs aren’t cheap, and the best way to explore your surroundings in any country, is to be immersed within them, so say hello to glamping: your new favourite holiday. 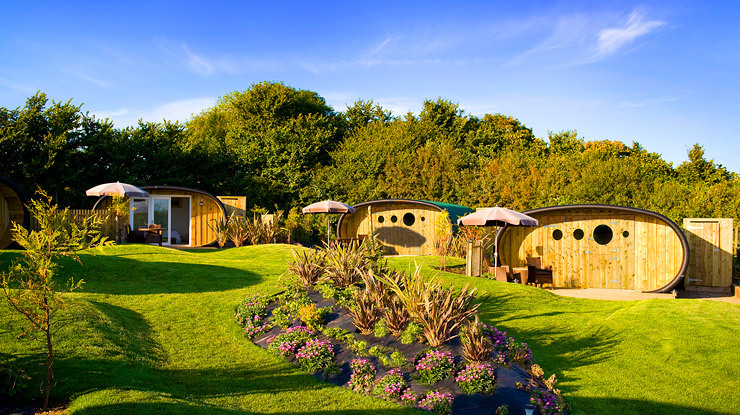 For something in between tent and hotel, the wooden eco surf pods are perfect for people looking for an environmentally friendly holiday, with a few home comforts. Nestled on the Atlantic coast, with access to surf, sea and sand, these pods put you under the stars, in the perfect location. Take a step away from the hustle and bustle of daily life with a stay in a shepherd’s hut, in the rolling countryside of the Malvern Hills in Worcestershire. Stay secluded in your own corner, with enough luxuries to keep you happy, and stroll into the town in the evenings, for rustic pub meals and light entertainment. Simple, wooden and private, the shepherd huts hide you away from modern life. Hidden in the south of France is a perfect mix of safari adventure, boho living, and enough niceties to make you feel as though you could stay forever. Stroll through the remote French valleys, laze around by the pool on hammocks, or go for endless bicycle rides. Within an airy canvas, the only sounds you’ll be able to hear is the distant rumble of tractors, cows, and wake up calls from resident birds. 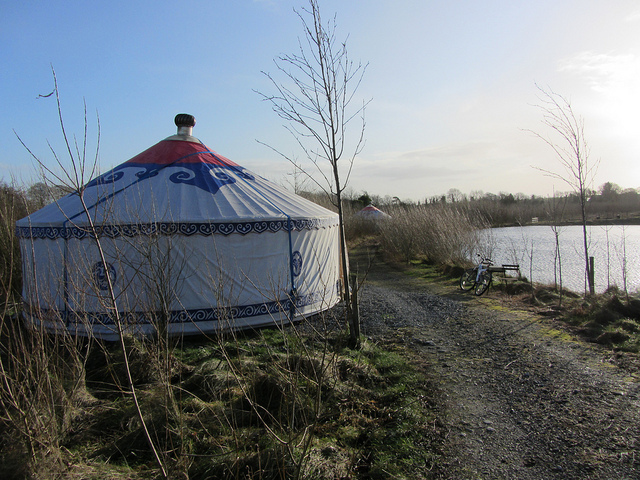 Imported from Mongolia, these yurts offer you the best of the Irish countryside and a full camping experience, without having to spend your holiday crawling around on your knees. Mix the double beds and the hot showers, just a short walk away, with outdoors eating, communal areas, and staying in a remote campsite, and you’ve got the ideal glamping combination. Live like a real ranch hand in the birthplace of the magnificent Spanish horses, and visit this extraordinary campsite. With a mixture of pods, bell tents and wagons, camping has never been so eccentric, or so comfy. With miles and miles of unfenced countryside, and views inaccessible by car, make the most of your surroundings with treks on the legendary Andalucian horses, knowing you’ll be coming home to a bed, the sound of the horses grazing overnight, nestled between rolling hills. With just a sheet of canvas separating you from the wondrous sights of the Serengeti’s migration path, glamping has never been so breath-taking. Like the landscape, the tents are like nothing you’ve seen before: a bed, a writing desk and sofas make up the interior, along with an en-suite shower, powered by solar energy. In this hidden paradise, you’ll be able to take in fantastic, awe-inspiring scenes, while relaxing in a tent made withvery luxury in mind. Hidden in a beautiful, untouched rainforest in South Africa, is a collection of trees that are each home to a wonderfully simple room. Live in amongst the treetops, gazing out over hectares of rainforests and mountains, and share your holiday with birds, butterflies, dogs and horses. With no need for added privacy, shower, sleep and relax in your tree-house, knowing you’re in a carefully hand-picked site, making no added damage to the area around you. Located in 40 acres of stunning views, glamping in this part of Utah brings together the desolate, haunting backdrop of the desert, with luxurious tents, home comforts and hot water. With a range of tents to choose from, stay as civilised, or as close to nature as you fancy. With the incredible Arches National Park on one side, and Canyonlands National Park on the other, you’ll be spoilt for choice with where to look at, as well as where to sleep. For a real American getaway, head to this site in California, and rent a traditional retro trailer. All of the trailers on site were rescued from near-abandonment, and refurbished to create a simple, hippie-brilliance that they are now. Staying in among giant redwoods, take in the mountain views, the pink sandy beach, and the tranquillity while relaxing in your own space. Situated on the Thai-Cambodian border, in the Tatai River, is a bobbing pontoon, that houses 12 tents, each available to stay in. Luxurious as any boutique tent fixed to the ground, or carved into a tree, this aquatic getaway is perfect for anyone wanting to explore hidden forests, shy jungle animals, or simply relax in a place of beauty and tranquillity. The floating lodge is environmentally conscious of everything it does, earning its title as an ecological miracle. Hellfire Pass, once home to a Japanese military camp in World War II, now harbours a different kind of a secret: a glamping site, for those wanting to explore the incredible Kanchanburi province of Thailand. Whether you explore the mountain range, or stick to the immediate area, the campsite combines natural beauty with luxurious tents, to provide an unforgettable experience. Wade in a hot spring pool, or barbecue under the stars in Thailand’s natural paradise. Be one of the first to stay in Nightfall’s luxury tents, and revel in a part of Australia forgotten by the modern world. In the centre of Lamington National Park, surrounded by rapids, waterfalls and lush rainforests, you’ll be one of six people allowed in this bubble. Soak off in the cool creeks, explore undiscovered tracks, and try handmade, organic cuisines. Head into the vastly unmanned side of Australia, and get back to nature (without losing life’s luxuries) in these eco huts. Situated in the Kimberley environment, enjoy everything from admiring the view of the dramatic Australian landscape, to whale watching in the ocean – located barely more than 100 footsteps from the huts.